Please Note: We gladly accept VISA, MasterCard, and Discover. 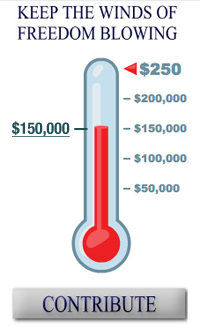 For Credit Card Contributions by Phone dial: 706-374-4509. Georgia Campaign law requires name, address, occupation and employer. Out of State and Georgia contributions are treated the same in Georgia. 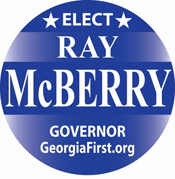 The efforts of Georgia First are part of the Georgia First Committee to Elect Ray McBerry Governor. Contributions to the Georgia First Committee to Elect Ray McBerry, and purchases made from the GeorgiaFirst.Org website are non refundable and are not tax deductible.